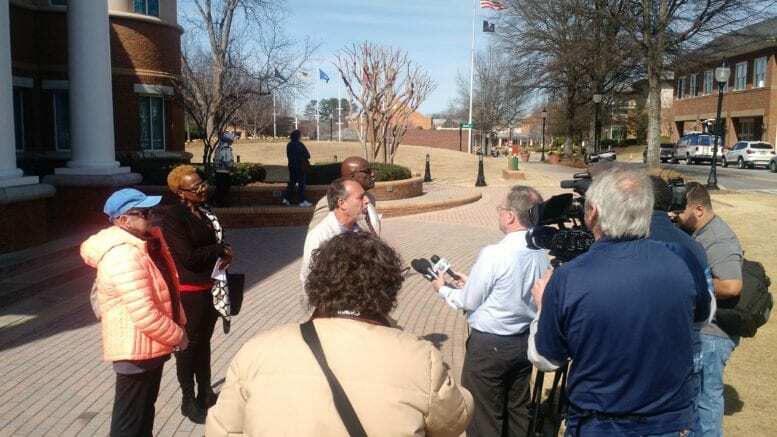 At a press conference in front of Smyrna city hall on Monday, Feb. 13, plaintiffs in a federal lawsuit against the city of Smyrna and Smyrna Police Department discussed a federal court order they said protects their free speech rights and the rights of other local citizens. The federal district court in Atlanta granted Richard Pellegrino, Aaron Bridges and Cobb SCLC Freedom and Justice Fund, Inc. an injunction. The lawsuit was filed on Jan. 23, seeking both damages and a change in the ordinances. The lawsuit stems from the shooting of Nicholas Thomas by SPD in 2015. In the incident, officers arrived at the Vinings Crossing Shopping Center where Thomas, 23, worked at a Goodyear tire store. Thomas was driving a customer’s 2006 Maserati around the building when the officers were attempting to serve the warrant. Thomas attempted to flee the scene, was shot by officers and died inside the vehicle. Protesters have attended Smyrna city council meetings since Thomas’s death, saying the shooting was unjustified. Smyrna police say Thomas drove around the building several times at a high rate of speed and that an officer fired into the moving car in fear that he placed them at risk to receive serious bodily injury or death. The officer who shot Thomas, Sgt. Kenneth Owens, was not charged for his actions. Per the court order, Smyrna has agreed not to re-enact the challenged provisions, and will not be able to exclude private citizens from public areas where citizens are engaging in lawful speech under the First Amendment. Though the lawsuit was successful in getting the ordinance changed, Pellegrino said the plaintiffs are still seeking damages, including for incurred legal fees. Williams said attempts to meet with Smyrna city officials have “yielded no fruit at all” and that the group has had no contact with the city since the court order was issued. Efforts to contact the city of Smyrna and the Smyrna Police Department for comment were not successful at press time. 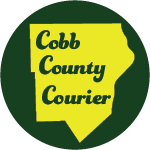 What is the road forward for the Cobb Police Department? Be the first to comment on "Smyrna changes ordinance in response to lawsuit stemming from death of Nicholas Thomas"